I thought 'Raven's Rest' had the makings of a really good story. There's a spark of mystery here a chance for not one but 2 romance stories one set in the present, one tied to the mystery of the past, add in a bit of starting over, a bit of comfort and emotional healing, a ghost or two or three and I'm thinking this has the makings of one incredibly good read...at least it seemed to in the beginning. Somehow what seemed to me like it would be a story filled with awesomeness turned out to be ok...yeah, that's what it was just ok. Sadly the mystery from the past was a little on the obvious side and I have liked for the author to make us work a little harder to figure things out. Michael Cook has gone to the small town of Banning to start his life over and escape Kevin, his ex who is controlling and emotionally abusive. 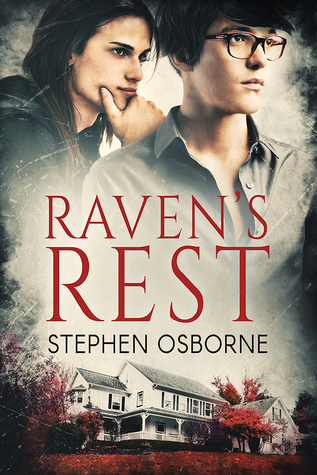 He checks into the Raven's Rest and within a day of being in Banning he finds out about Coleman Hollis who is a ghost that haunts the Raven's Rest looking for his lover who happens to look just like Michael. Venturing out to explore his new surroundings Michael stops at the local coffee shop for breakfast where he meets Trey an attractive musician who also works at the coffee shop when he's not writing music, he also gets a job at said coffee shop which just happens to be owned by Trey's mother. Michael's having one busy day. Needless to say Trey is gay and he and Michael are attracted to each other, thankfully though it's not a case of insta-love, lust maybe and hey they're young it's allowed. Except for the fact that for someone who's supposedly just left an abusive relationship that lasted for 5 years Michael doesn't seem to have any lingering issues or insecurities from it and while this wasn't what I would call a case of insta-love things seemed to be happening awfully damned fast and for me the connections just didn't quite happen. As for our ghost Coleman Hollis and his missing lover. This was the part of the story that I liked the best. Their story was heartbreaking and sadly it was also believable. I liked Coleman, I know he's a ghost but his love for his missing lover, Bryan, felt real and strong. His determination to find him was one of the parts of this story that I was able to connect with. So for me Coleman was a very positive part of this story. So what started out as potentially a really great story just didn't quite hit the mark for me. Some things were too predictable, some things needed more filling out and some needed less...but at the end of it all I'm left with a story that worked out ok and in spite of the fact that it didn't meet my expectations I also know that previous books that I've read by this author make me believe that the potential could still be there and if there's something more happening at the Raven's Rest in the future I may give this one more try. 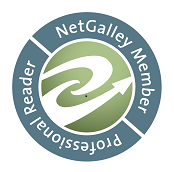 An ARC of "Raven's Rest" was graciously provided by the publisher in exchange for an honest review.